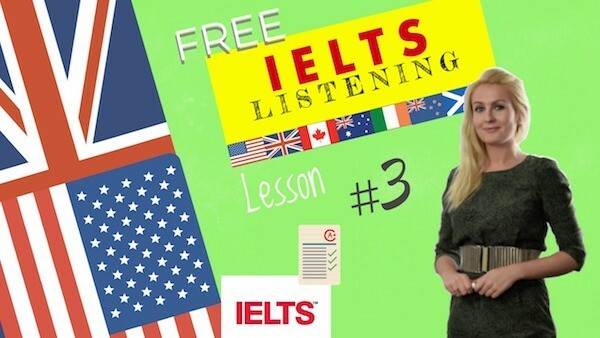 You will now have 4 ielts listening section exercises: 4 videos each followed by 1 quiz. Section one: you will hear a woman making a hotel reservation over the phone. First you have some time to look at questions 1 to 4. You will see that there is an example that has been done for you. On this occasion only the conversation relating to this will be played first. – Good afternoon, Grandview hotel? – Yes hello! I am planning to spend a few days in your city next week and I’d like to make a reservation. The man answers the phone. Grand View hotel? So the word Grand View has been written at the top of the form. Now we shall begin. You should answer the questions as you listen because you will not hear the recording a second time. Listen carefully and answer questions 1 to 4. – Good afternoon, Grand View Hotel? – Of course! When did you want to stay here? – Next week. Wednesday night and Thursday night. – So that’s February 13th and 14th. – And how many guests will there be? – Just me. So do you have a room available? – Yes we do! I’ll just need to take some of your information. May I have your name please? – Oh right yes! It’s Roxanne Wilson WI L S O N.
– Thank you Miss Wilson. And may I have your credit card number? – It’s two three three six one eight nine eight seven two. – ….Nine eight seven two, got it! All right miss Wilson, I have your reservation confirmed. – Can I help you with anything else? Now listen and answer questions 5 to 10. – Well, yes! I was wondering since I’ll have a couple of free hours Friday morning before I leave, is there anything interesting to see close to the hotel? – Do you like museums? The OP Museum is very close by. – I love museums! But not art, can’t stand it. I’ve heard your city has a very interesting Science Museum though. – Yes, but unfortunately it’s closed in the winter. Are you interested in shopping? – Sure I love shopping! Are there any good stores nearby? – Yes. We have a large shopping mall just two bus stops away. You take the bus to Monument Square and it’s just half a block from there. Just look for the post office and you’ll see the mall entrance next to it. – Fabulous! What about lunch? I hear your city has good restaurants. – Yes. There’s a nice restaurant very near. It’s just across the street from the park. – Sounds good. I can have lunch then walk in the park afterwards. I have one more question. What’s the best way to get to the hotel from the airport? – Subway is the fastest of course. There are buses but they’re quite slow. – I’ll be arriving quite late after 10 p.m. I thought I might have to take a taxi. – The subway runs until midnight. – Oh good! Then I’ll do that. Will there be someone at the hotel front desk that late? – Oh yes. The front desk stays open until 2. That is the end of section 1. You now have half a minute to check your answers. Section two: you will hear a tour leader giving information about a bus tour. First you have some time to look at questions 11 to 15. As you listened to the first part of the talk answer questions 11 to 15. Thank you for choosing city tours. The reason so many people choose our tours when visiting this city, is because you can design your tour to suit your own interests. Your all- day pass entitles you to board our bus at any stop and stay as long as you like at each place. The all- day bus pass costs $18 for adults, children between the ages of five and twelve pay half the adult fare and children under five ride for free. Our buses run every hour on the half hour starting at 8:30 am. Our most popular tour is the center city tour which goes to all the major attractions in the center of the city. From the starting point here at the tour bus office the bus goes to the first stop hill park. As you may guess this park is located at the top of a small hill. The next stop is the fishing docks. Following that the bus goes onto the third stop Bay Bridge located at the foot of the bridge which crosses the bay. The fourth stop is in the shopping district then the fifth and last stop is at Green Street. Now listen and answer question 16 to 20. There are many interesting things to do and see on the centre city tour. At the first stop you can enjoy a spectacular view of the bay the city and especially of the fishing docks, which are located at the foot of the hill. At the second stop you can walk around and look at the boats. Fresh fish from the bays also for sale here since this is a place where the fishermen bring in their catch. The next stop is where some of the city’s finest seafood restaurants are located so you might want to plan a lunch stop here. You can eat fresh fish here prepared in the traditional local way. The fourth stop is of course where you can do your shopping. Don’t miss the opportunity to purchase some of our city’s famous handmade baskets! You’ll want to take several home as souvenirs of your visit to our city. Finally at the last stop on the tour you can visit one of the oldest buildings in our city: the theater. This building was built over 400 years ago and is still used today as a place to see plays, musicals and other performances. As well as our annual film festival. That is the end of section 2. You now have half a minute to check your answers. Section three: you will hear a conversation between two students planning a research project. First you have some time to look at questions 21 to 23. As you listen to the first part of the conversation answer questions 21 to 23. -We’d better start planning our research project because we don’t have much time left before it’s due. -Well let’s get to work then. -Okay. So we agreed we’re going to interview shoppers about their spending habits. Did we decide to conduct our interviews at the department store? – We haven’t decided anything definitely yet. But I think the shopping mall would be a better place. We’d get more of a variety of shoppers there. -Yes, that’s a good point. So let’s do that.how many interviews did the professor say we had to complete? – She said at least 30. That sounds like a lot doesn’t it? – Yes. But if we divide it up between the two of us that’s just 15 each. That’s not so bad. Now listen and answer questions 24 to 30. -Okay so I guess we’d better start designing our questionnaire. – Well, we have to do some reading first don’t we? Didn’t we say we were going to compare our results to the results of a government study? – Right. The government study about how the economic crisis has changed people’s spending habits. We want to see if we get similar results. – Yes. So we’d better read that first and then design our questionnaire. Then I guess we’ll be ready to go out and interview shoppers. – No! Don’t you remember? The professor said she had to approve our questionnaire first before we actually conducted the interviews! – All right. So we’ll get her approval and then conduct the interviews. I think it’s Saturday would be the best day for the interviews, because everyone’s out shopping then. – Right. We’ll do it on a Saturday then. – And let’s also plan to get together the next day to analyze the results. It’s best to do that while everything’s fresh in our minds. Don’t you think? – Sure. That sounds like a good idea. Okay so then we’re going to have to present our results to the class. Do you have any ideas for that? it’s an important part of our grade so I think we should plan it well. – Well I think the obvious thing is to prepare some chart showing our results and how they compare with the government study. That will help make the information a lot clearer to the class. -Right, okay. So we’ll draw up some charts of the results. – And then that’s it all that will be left to do is give the class presentation. Do you think we can be ready on time? – I sure hope so. Let’s get started now. That is the end of section three. You now have half a minute to check your answers. Section four: you will hear a professor give a lecture on Louisa May Alcott. First you have some time to look at the questions 31 to 40. Now listen carefully and complete the timeline in questions 31 to 40. Good afternoon. Today I’d like to continue our discussion of the lives of prominent American writers by talking about Louisa May Alcott, one of the best- known 19th century writers. Alcott is known for her moralistic girls novels, but she was a much more serious individual than those novels might lead one to believe. She was born in 1832. The daughter of Bronson Alcott, who was one of the founders of the transcendentalist movement. Bronson Alcott was a philosopher but not a provider and the family lived close to poverty. From an early age Louisa was determined to find a way to improve her family’s economic situation. As a teenager she worked to support her family by taking on a variety of low- paying jobs including teacher, seamstress and household servant. Alcott also started writing when she was young. she wrote her first novel when she was just 17 years old, although it wasn’t published until many years after her death it was called “The inheritance”. In 1861 the Civil War broke out. Alcott worked as a volunteer sewing uniforms and bandages for soldiers. The following year she enlisted as an army nurse. She spent the war years in Washington. Nursing wounded soldiers at a military hospital. While working at the hospital she wrote many letters to her family at home in Massachusetts. After the war she turned the letters into a book which was published under the title “Hospital Sketches”. She also wrote numerous romantic stories which she sold to magazines. Around the same time she was offered the opportunity to travel to Europe as the companion to an invalid. When she returned home from Europe in 1868, she found her family still in financial difficulty and in need of money so she went back to writing. Her big break came in 1868, with the publication of her first novel for girls “Little Women”. The novel achieved instant success and the public wanted more. From then on Alcott supported herself and her family by writing novels for girls. It wasn’t the writing she had dreamed of doing but it and her a good income. Alcott took care of her family for the rest of her life. In 1878 her youngest sister Mae got married. A year later Mae died after giving birth to a daughter. Louisa Alcott raised her sister’s orphaned child. In 1882 Bronson Alcott suffered a stroke. Soon after that Louisa Alcott set up a house for him, her niece, her sister Anna and Anna’s two sons in Boston. Her mother was no longer living by this time. Alcott was still writing novels for girls including two sequels to “Little Women”, “Little Men” and “Joe’s boys” the latter was published in 1886. Louisa Alcott had suffered poor health ever since she contracted typhoid fever while working as a war nurse. She died in March of 1888 at the age of 55. She was buried in Concord Massachusetts. That is the end of section 4. You now have half a minute to check your answers. You will now have 10 minutes to transfer your answers to the listening answer sheet. Passive voice misuse in English with exercises Lesson 76. April 9, 2018 Comments Off on Passive voice misuse in English with exercises Lesson 76. 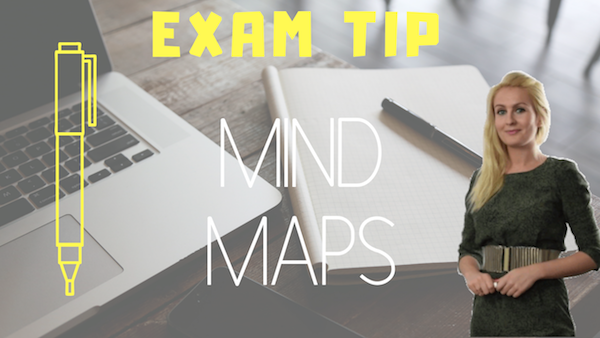 How to improve your IELTS reading scoring with exercises. July 30, 2018 Comments Off on How to improve your IELTS reading scoring with exercises. An exercise for B2 first preparation of writing skills with questions 5. May 18, 2018 Comments Off on An exercise for B2 first preparation of writing skills with questions 5.